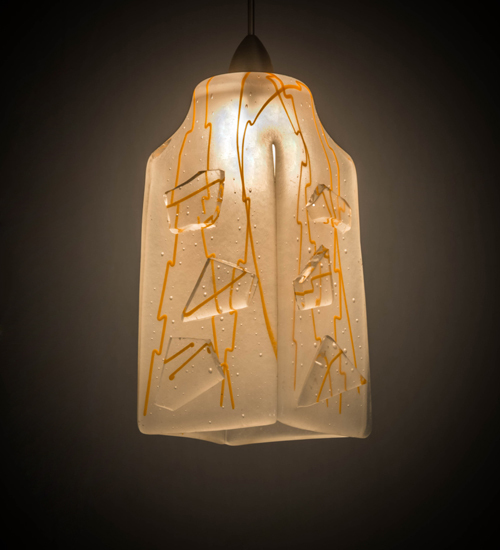 Description: The Metro Fusion, Orange Taffy mini pendant is the coolest look in Hot glass. Hand cut glass is hot fired to fall into a cube draped shape. Handmade by Meyda Craftsmen the sweet Orange Taffy dripped shade with Platinum finished hardware and matching cord is one hot look. This Low Voltage pendant with canopy mount and included light bulb make this a tasty treat for the eye.